We meet in the Parish Centre from 10am to 11am every Monday morning. We have a steady number who continue to enjoy the benefits of exercise. It is a great way to start the week. The format of the class is simple; we exercise to music, which we have come to enjoy very much. Even though we work quite hard, the atmosphere is easy going with lots of chat. 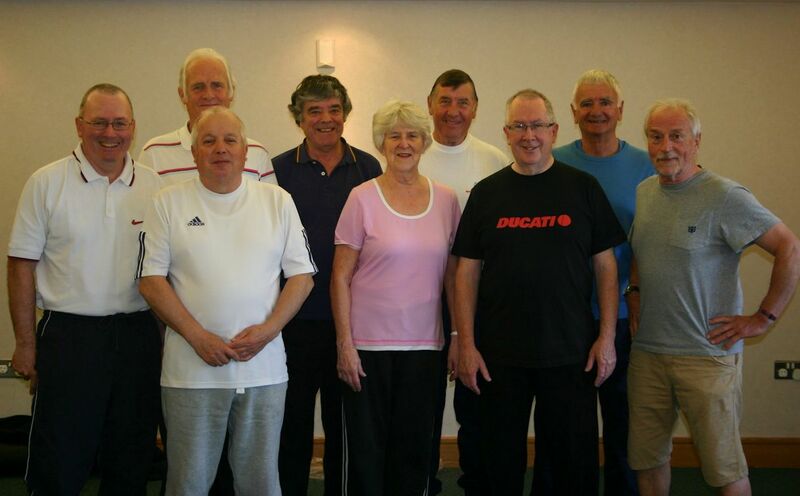 Led by Pat Peel, we have a warm–up, then a harder working session to improve cardio–vascular fitness, floor work exercises to improve muscular strength and endurance. We wind down with stretch and relaxation. Although not at display standard yet, we aim to improve from week to week. Everyone is encouraged to be aware of their own capabilities and limitations and to work within these parameters. For more information, contact Pat Peel on 028 91 451150 or Kelly in the Parish Office.